There are few things as relaxing as daring the road on a Sunday morning with your friends, enjoying the open roads and the wind in your hair. 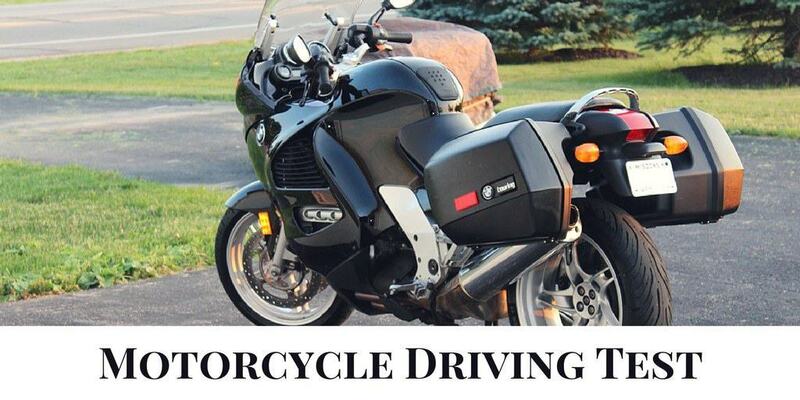 Riding a motorcycle is not just a means to an end to get you to work and back, it is an opportunity to relax, forget about your stress and enjoy the power beneath you which makes passing your motorcycle driving test all the more alluring. There is no time limitation for the completion of the driving test, thus you can take your time and ensure that you pass the test the first time. With time out of the way all, you can concentrate on not to losing too many points which the examiner will be recording on your examination sheet. In the inspection and yard, you are allowed to lose 50 penalty points. The road test allows you to lose 90 penalty points. Failing one section whilst passing another will be disregarded and deemed as a fail of the complete test in other words, in total you can lose 140 points during the test, the problem is that if you lose more than 50 penalty points during the inspection but you pass the road test you will fail your test and vice versa. 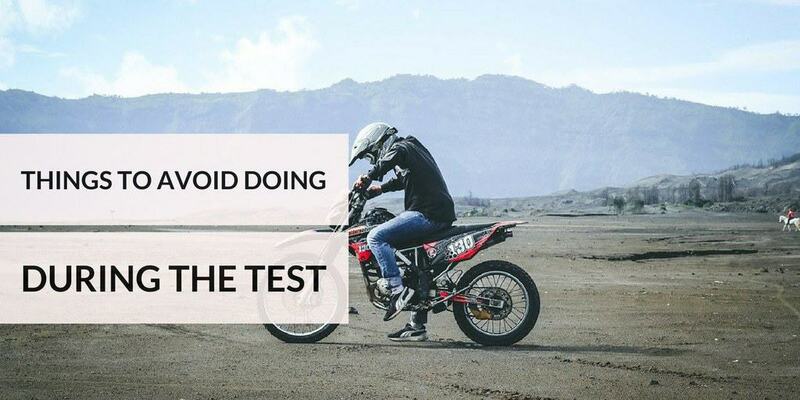 The motorcycle test provides you with various opportunities to prove your worth as a driver, but there are certain things to avoid during your test as it can result in the immediate fail of your test. The use of a motorcycle which is unworthy or not licenced. You cannot fall off the motorcycle or let it fall. The violation of traffic laws, road signs, signals and road markings are not permitted. You cannot make uncontrolled or dangerous actions. Failure to wear a suitable safety helmet. Failure to successfully move off, turn left or change lanes to the right in a first attempt. Does not succeed to move off and ride, use judgment in turning speed, initiate emergency stops or swerves or stop within three attempts. There are a lot of situations which can cause you to instantly fail the driver’s test, these are situations which can be life threatening to other driver’s due to dangerous driving. Not all mistakes will result in an immediate fail, penalties are awarded for minor mistakes incurred during the course of the test. Actions which are performed unnecessarily such as needless stopping. Actions which should have been done but which you neglected to perform. Actions which are not performed satisfactorily like positioning the vehicle correctly for a turn. Neglecting to perform actions or unnecessarily performing action might not cause you to immediately fail the test but you still have to be penalised. Imagine repeating too many unnecessary actions or not performing them on a daily basis, such mistakes can become negligent to the extent of dangerous if they could create a dangerous situation on the road. Too many penalty points will thus also result in an immediate fail. A motorcycle is harder to master than a motor vehicle, or so some would say. We know what you can and cannot do during your motorcycle driving test, trust that we will teach you all we know about passing. Call us today to find out all you need to know about our teaching services. Make sure you read our article on how to get cheap car insurance.